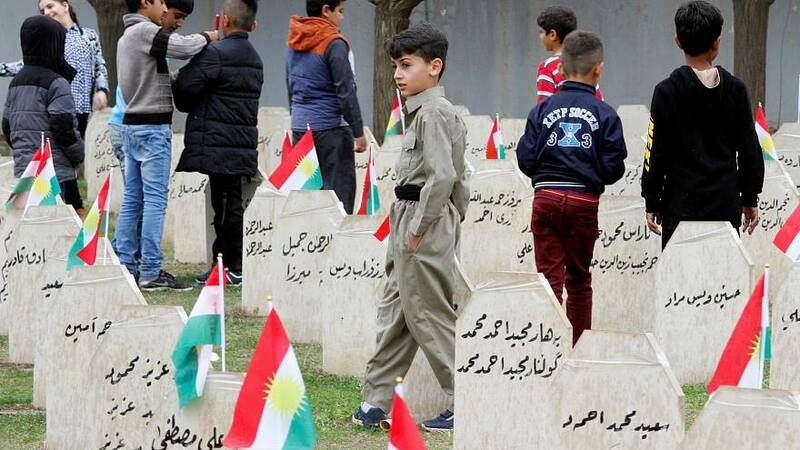 Thirty years to the day since thousands of civilians were killed in a chemical weapons attack by Saddam Hussein's forces in Halabja, a ceremony has been held in the Kurdish town in northern Iraq. At a stadium, Kurdish officials addressed hundreds of people who gathered on Friday to honour victims. Tributes were also paid at a cemetery where many of those killed are buried. Some 5,000 people, mostly women and children, were killed and thousands more wounded on March 16, 1988. Survivors still suffer from the effects of the poison gas attack, including respiratory difficulties, blindness and residual burns.